MOSCOT introduced five new frames for Fall 2018 at DaTE with a nod to some of the brand’s most memorable characters from years past. Zack Moscot, 5th Generation, Chief Creative Officer, drew inspiration from the brand’s 103-year old archives, adding intellectual flare to every MOSCOT frame. From bone-colored nosepads to perfectly rounded rims, the new collection accentuates classic design elements and features thoughtfully crafted updates. The new collection takes us back to MOSCOT’s core, by placing importance on the eyecare in eyewear, with a clear focus on optical frames! Vinyl Factory presents, for the first time, SILMO’s novelties in world premiere at DaTE. In the music universe – that we like so much – it would mean to be like a group sending to the fans a copy of their last album before putting it on sale to the public. MYKITA takes an independent approach to eyewear design and production, bringing together all departments under one roof to form the modern manufactory. At the MYKITA HAUS in Berlin, the team guides the product through every stage, from conception to the shop floor. 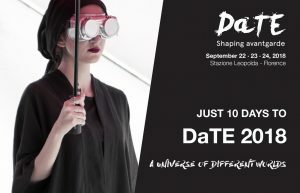 Ultra Limited – eyewear brand that has made uniqueness, craftsmanship and color its philosophy – goes back to DaTE to present the new models of the Profili Edition, collection launched during Mido 2018. Although it remains faithful to the brand’s DNA, it also offers an innovative project based on bold gluing: a single-color plate coordinated with the stems is applied in the central portion of the front, to create a harmonious contrast with the color mix of the side ends. The Spectaculars collection pays tribute to the most iconic models of American eyewear. The “evergreen” shapes and the classic colors are all products just like they used to be in the past: handcrafted and respecting techniques tested over time that have made the “made in USA” unique and unmistakable. Using the best materials, our craftsmen dedicate their creativity and attention to detail; each piece is finished by polishing it by hand, giving each pair of glasses a unique brilliance. Our mission is to allow the wearer of a Spectaculars to express their personality combining luxury with an uncompromising vision.